McDonough Marine Service has various barges designated for use in nonhazardous oilfield waste service. 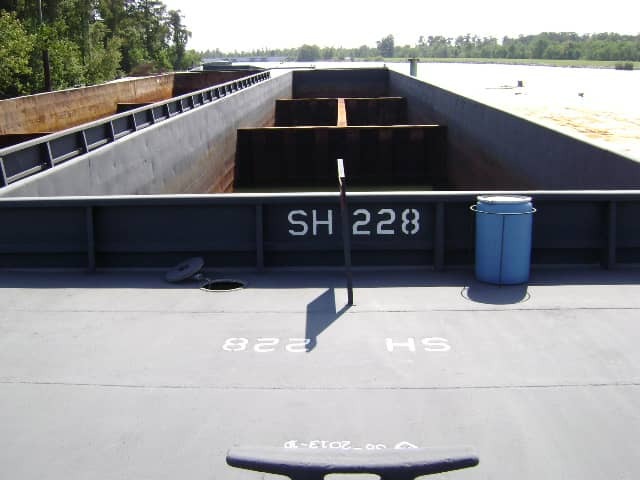 These are deck barges with cargo bins and open hopper type barges, both having stabilizing bulkheads in the cargo compartment. These barges are used at oil well drilling sites to contain and transport any liquids and (shale) cuttings produced by the drilling operation that cannot be discharged overboard because of environmental considerations. This cargo is then disposed of by an approved processing company. These barges are subject to rules and regulations promulgated and enforced by the U.S. Coast Guard, which publishes appropriate manuals for public guidance.